As the blockchain industry becomes saturated, many exciting projects are still finding their way into space, promising better features than the existing networks like better-secured platform, low transaction fees, etc. An in-depth study of some of these newly released projects would reveal that a lot of them are not worth the hype, but some like the TRON project has shown signs that it will stand the test of time and deliver its promise. The TRON project came under the spotlight sometime in 2017 and has been keeping tracks since last December. In just a month, at the end of the year 2017, the value of the TRX (TRON’s native currency) rose by a stunning 12,600%. Tron is a decentralized entertainment and sharing platform which utilizes blockchain technology and peer-to-peer (P2P) architecture. It was launched as the foundation of a decentralized ecosystem for entertainment, with the future TRON promising to make the global entertainment industry more transparent and more open than ever. Tron’s technology aims to remove third-party stores such as the Apple and Amazon stores which gives creators the ability to control who gets access to their content, and how much to charge per content. Tron’s foundation is a Singapore-based non-profit organization, and it was founded in September 2017 by CEO, Justin Sun, whose first venture is Peiwo – a pay-to-chat application already launched on the network. The Tron network also has a dedicated in-house development team renowned in the technology space. 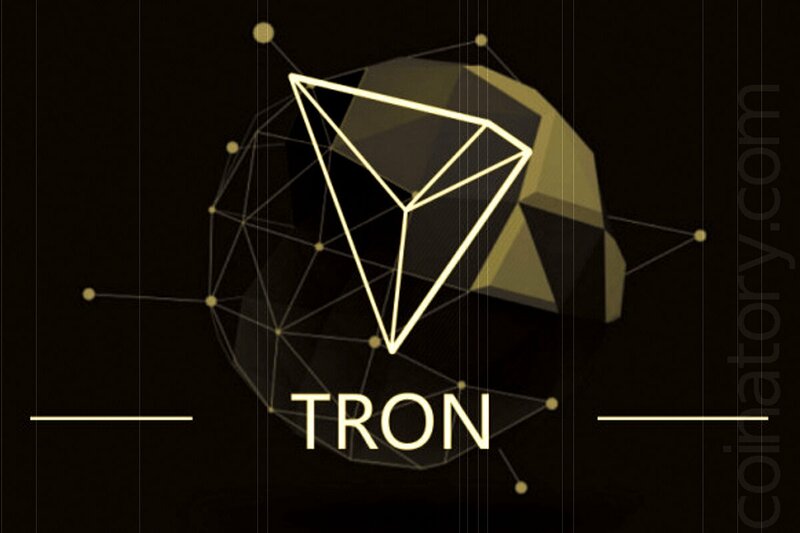 Tronix (TRX) is the currency of Tron. It serves as a medium of exchange on the network, and it can be converted easily to fiat currencies, thereby making it a perfect choice for global content creators using cryptocurrency. The TRX altcoin can be used by content consumers to pay for whatever content that appeals to them. Third parties entertainment platforms like Netflix, act as a centralized platform where content consumers subscribe with considerable fees to gain access to available contents on the platform, then the third party platform gives the content creators a meager sum of the entire amount a consumer pays. In the end, the third party platforms take the lion share in the whole deal. What Tron does is that it uses an open blockchain network and act as a distributed decentralized storage system which brings Content creators all over the world together closer to the content consumers thereby eliminating the services of the middleman. This will increase the speed of the content collection on the part of the consumer at a limited fee, and also increase the profit of the content creators. With this method, the content consumers can make payment directly to the content producers. Using TRX token is simply a way of empowering artists and content creators all over the world into having ownership over the content they create. In this start-up point, the network aims to provide a simple distributed file sharing that is built on a technology similar to IPFS. This process would change as the system advances to the second phase. In this phase, Tron will aim to offer a free platform for peer-to-peer distribution and storage of content. A model that is similar to Proof of stake will be adopted in the creation of an ecosystem that is controlled by content producers. The third phase is the Great Voyage, while the fourth stage is Apollo. Here, Tron will aim to allow content creators to create a stake in a potential, individualized brand through personalized tokens. For this to be achieved, Tron has created a Mainnet which is similar to Ethereum, thereby having similar advantages and disadvantages that the Ethereum network has. Here, Tron will aim to create a decentralized gaming and forecasting platform. This is the final stage. Tron will consider economic incentives due to the growth of the Tron community. Peer-to-Peer File Sharing: Tron eliminates the services of third-party platforms like Netflix in the storage and distribution of contents, by bringing content producers and consumers closer thereby making the delivery of content to be more accessible and faster. Consensus Mechanism: Challenges that are related to credit card and users identification on the Tron platform are easily resolved using innovative consensus mechanism. Experienced Team Support: Tron boasts of technocrats that have vast experience in their field. They include Developers, Advisors, and investors. Blockchain Flexibility: Tron supports different blockchains like Bitcoin, Ethereum, etc. which will, in turn, promote its liquidity and utility shortly. TRX coin cannot be bought directly using fiat currency. For existing crypto investors that possess BTC or ETH and want to acquire TRX, they can do so by trading their BTC or ETH for TRX on exchange platform like binance. However, New crypto Investors that don’t have either BTC or ETH, they can sign up at Coinbase, purchase and then exchange their newly purchased BTC or ETH on Binance. If the Tron’s project objectives are met, then the global entertainment industry will evolve by decentralizing content delivery, and also give control to content creators. Undoubtedly, the Tron Project is a great business idea and is largely expected to come to fruition given its dedicated team and ecosystem. We’ll now fold our hands and watch the revolution unfold!